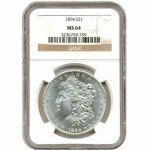 The Morgan Silver Dollar is one of the most iconic coins in American history. Countless actions by Congress both halted and restarted the program between the late-19th and early-20th centuries, with the final coins minted in 1921. The Great American Mint and Refinery pays homage to this iconic American coin with its new 1 oz Morgan Silver Rounds. Today, you can purchase these new rounds from Silver.com. 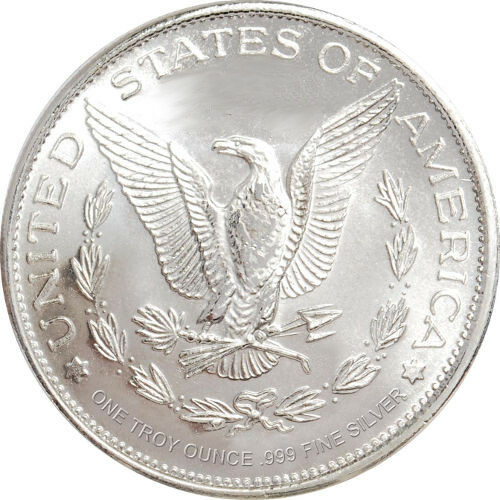 Each round contains one troy ounce of 99.9% pure silver. Minted at the Great American Mint in California. Features the famous Morgan Silver Dollar design. Morgan Silver Dollars were first struck by the US Mint in 1878. When it was first introduced, the Morgan Dollar marked the reintroduction of silver coining in the US following passage of the Coinage Act of 1873, which brought a halt to all silver coin production. 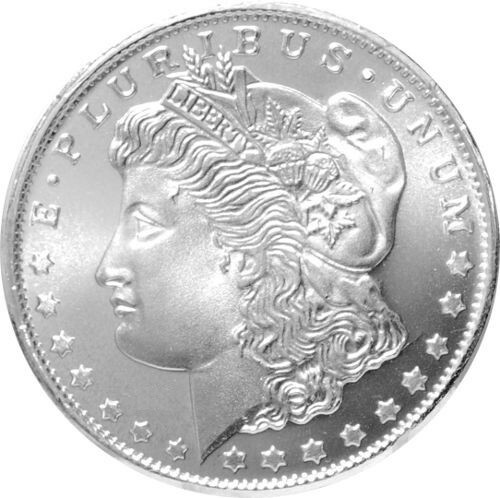 The Mint continued production of the Morgan Dollar until 1904, when the Sherman Silver Purchase Act depleted national silver reserves and led to a halt in production. The Pittman Act of 1918 allowed silver dollars to be melted and struck anew as Morgan Dollars one last time in 1921. The reverse side of the round features a heraldic eagle clutching arrows and an olive branch in its talons. 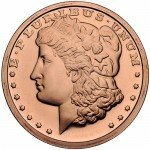 Engravings surrounding the eagle include the weight, purity, and metal content of the coin. The phrase “In God We Trust” is engraved above the eagle’s head. The Great American Mint and Refinery is located in the US state of California. The facility is a privately-owned operation that includes a state-of-the-art precious metals refinery, world-class bullion mint, and an advanced analytical laboratory. All rounds produced by the Great American Mint have no face value and are not legal tender. If you have any questions about the 1 oz Great American Mint Morgan Silver Rounds, don’t hesitate to contact our staff at 888-989-7223. You can also connect with us online using our live chat service which is located on the contact page of our website.